Citizens Advice Copeland has been supporting communities in West Cumbria for almost 20 years, providing a free, universal advice service. Typically, the problems for which people seek advice are debt, welfare and housing as well as employment, consumer and legal issues. Clients tend to be vulnerable, and demand for advice services has increased in times of austerity and public spending cuts. A grant of £9,813 from the Older People’s Fund supported an outreach worker to provide specialist support to older, rurally isolated people in their own homes. As a result, 136 people were supported and more than £160,000 was secured in previously unclaimed benefits. Mary and her husband William, both in their 80’s, have been struggling with ill health over the last few years. Mary had been diagnosed with dementia and after a fall struggled walking any distance, and William had been in and out of hospital owing to heart problems. 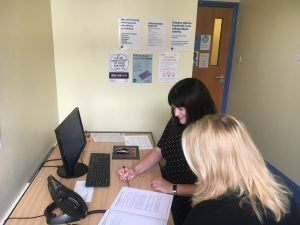 During a home visit by Citizens Advice, they discussed their current situation and the support available and completed a benefit check as neither of them had claimed before. They were able to claim Attendance Allowance, securing an extra £114 per week which they could use to pay for extra help around the home.